The chaos created by snow-hit Cardiff earlier in March meant the management of Cardiff’s New Theatre cancelled a number of Thriller Live performances, refunding disappointed ticket holders. So popular was the show that the New has since worked with the show’s producers to secure new dates for Cardiff, and have announced that Thriller Live will return to the New Theatre from Monday 23 – Saturday 28 July 2018. 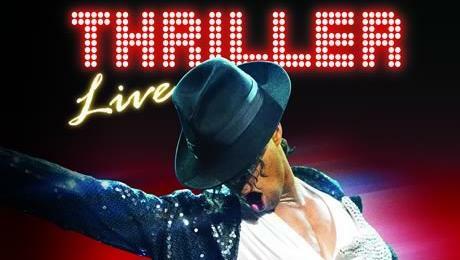 Thriller Live is a spectacular concert created to celebrate the career of Michael Jackson, one of pop music’s most iconic and enduring artists. The show, seen by over 4 million people in 30+ countries, takes audiences on a visual and audio journey through the magic of Jackson’s 45-year career. From pop to rock, soul to disco the cast pay homage to Jackson's legendary live performances and innovative dance moves executed with flair, precision and passion. It comes direct from the West End where it continues to run, nine-years after opening. Thriller Live returns to Cardiff’s New Theatre from 23 – 28 July 2018. For full details and to book tickets, visit newtheatrecardiff.co.uk or call the Box Office on (029) 2087 8889.